Our septic system is a composting system whereby the water flows into a septic tank, and then to soak a field. 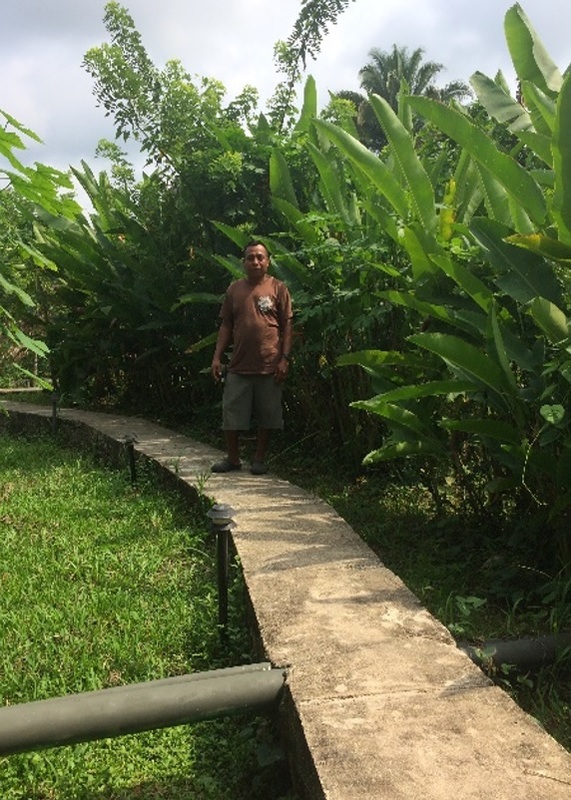 These fields are contained in large block vats, lined with several feet of PVC pipe, then covered with earth and banana trees. The banana roots form a dense mat which then absorbs the water and nutrients from the vat, creating a closed system of bio and phyto (plant) remediation (restoring balance). As a result, our land and river are waste free.